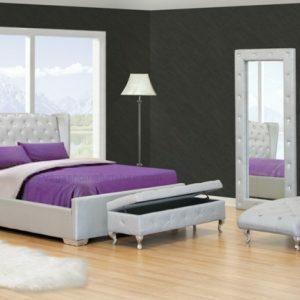 TAKING A CUE FROM THE CLASSIC LINES OF ART DECOR DESIGN. THE ZELDA III COLLECTION WILL PROVIDE THE FLEXIBILITY, FUNCTIONALITY AND AESTHETIC THAT YOU DESIRE FOR YOUR FASHION BEDROOM. 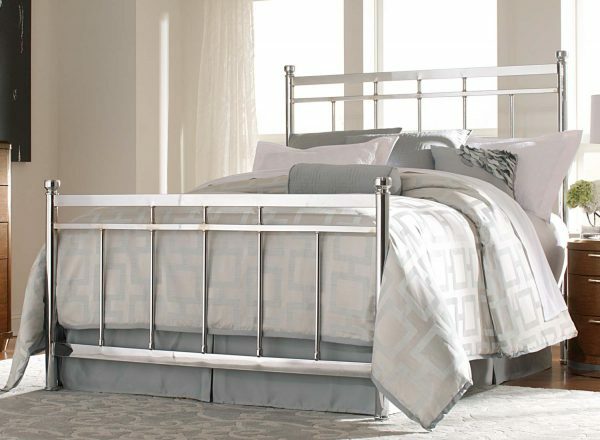 THE BED HAS A TRADITIONAL STYLED METAL BED WITH MODER CHROME FINISH.